Each marker is water-based acrylic paint with a 2-3 mm tip, they work on a pump release system and are non-refillable. 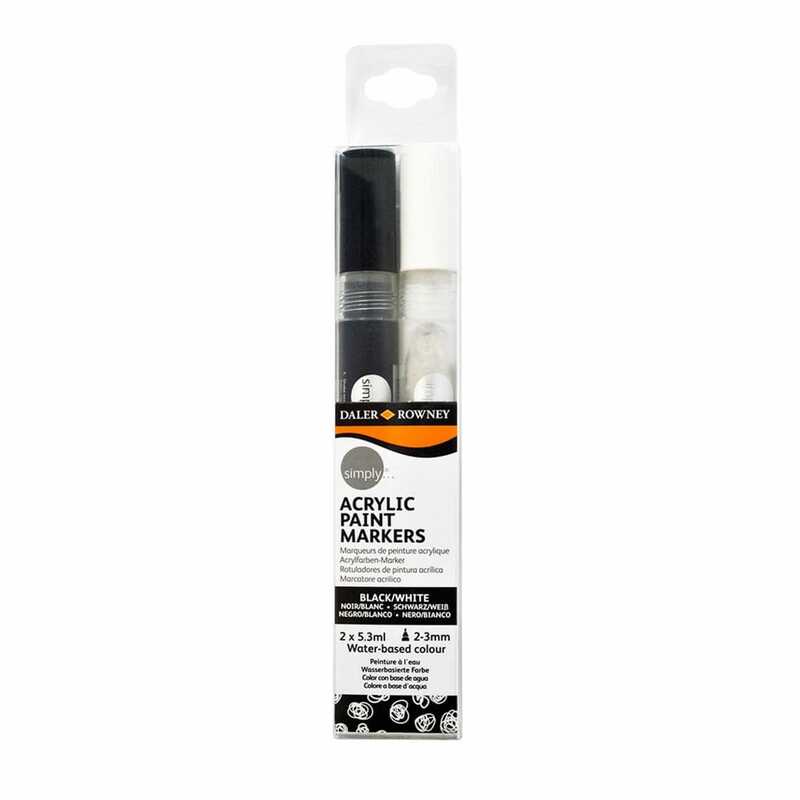 The white and black acrylic paint is permanent, streak-free and fast-drying to ensure total ease of use when you're creating your fantastic designs! Can be used on many surfaces paper, fabric, wood, ceramic, wood, plastic, glass and more.